Aging produces changes in the skin that are inevitable—looseness, thinness, wrinkling and excessive dryness. Partly due to “intrinsic”, or internal, variances in hormone and collagen levels and “extrinsic”, or external, forces that accelerate wrinkling such as exposure to sunlight and smoking, aging skin can now be immediately corrected with safe substances called dermal fillers. Containing special ingredients that provide structure and firmness to skin that has lost its youthful appearance, dermal fillers stimulate collagen production in the dermis to eliminate wrinkles and sagging visible on the epidermis, or topmost layer of skin. Repetitive muscle movements such as frowning frequently, “knitting” the brows and pursing the lips around a cigarette. Constant contraction of these muscles causes skin creasing that inevitably remains as permanent wrinkles or folds. Aging skin produces less melanocytes, or cells responsible for your skin color. Consequently, skin gradually begins to look paler and less healthy than younger skin. Loss of sufficient melanocytes also causes the skin to feel thinner and appear translucent, which is why you tend to notice spider and varicose veins more readily as you age. Deterioration of connective tissue contributes to wrinkling and sagging of facial skin and body skin. Medically referred to as “elastosis”, losing skin elasticity and firmness is expedited when the skin is overexposed to UV rays. People who tan excessively or live in southern areas of the U.S. Often have a weather-beaten, leathery appearance to their skin. This is due to the sun’s radiation damaging elastin fibers and skin cells’ capacity to produce collagen and hyaluronic acid, two substances vital to keeping skin soft, supple and smooth. In women, decreased estrogen production following menopause affects the ability of sebaceous glands to produce oil, leading to dry, flaky skin that looses its suppleness and elasticity. Moreover, both men and women experience a significant loss of subcutaneous fat after age 60, which helps the skin look “plumped” and fuller, especially around the face. Reduced subcutaneous fat also affects the ability to sense external stimuli such as heat, cold, pressure and pain. Aging skin that is losing this type of fat is also prone to more bruising, hematomas and infections than younger skin simply because subcutaneous fat is meant to protect the skin from further damage. Painless, affordable and completed within an hour in our Mayoral Dermatology facility, dermal filler injections provide immediately visible improvement in skin that is wrinkled, sagging or affected by unsightly deep folds around the nose (nasolabial folds). We offer a variety of dermal fillers including Juvederm, Restylane, Belotero and Prevelle that replenish decreased amounts of hyaluronic acid in aging skin by stimulating new cell growth and the release of nourishing collagen. Hyaluronic acid (HA) is a prominent component of the skin responsible to attracting and binding to water molecules for the volumizing suppleness associated with youthful skin. Additionally, hyaluronic acid enhances the ability for elastin fibers and collagen to bind together by stabilizing intracelluar networks designed to keep skin firm and smooth. Found in dermal fillers such as Radiesse, calcium hydroxylapatite is a heavier filler naturally occurring in bones used to eliminate deep creasing and folds in skin heavily damaged by UV radiation, permanent muscle contractions and various other external elements. Frown lines, nasolabial folds and “marionette” lines are smoothed away when one of our skin specialists inject a dermal filler containing this effective compound into problem areas. Radiesse, for example, contains beneficial microspheres of calcium hydroxylapatite within a gel rich in water molecules that provides skin with the kind of nourishment it needs to look fuller, smoother and glowing with a brand-new youthfulness. Does it hurt to receive dermal filler injections? No. Mayoral Dermatology applies a topical anesthetic (a dental nerve block is also an option) to injection sites that numbs the area. Most patients experience only a minor stinging sensation as the dermal filler is injected into the skin. The needle used for the injection if small and very fine. Side effects are minimal and involve swelling, redness and in some patients, slight bruising. Alternately, some patients experience no side effects and do not need the use of a topical anesthetic. Depending on the severity of wrinkling, dermal filler procedures take as little as 15 minutes and no longer than 30 to 45 minutes. Many people come in during their lunchtime to have dermal filler injections and return to week immediately afterwards. Do I need to come back every month for an injection to maintain my smooth skin? No. Dermal filler effects last from six months to as long as 18 months. However, factors affecting the ability of a certain dermal filler to prevent wrinkles from re-forming include the patient’s skin type, exposure to environmental influences, age of the patient and overall health. Moreover, patients undergoing dermal filler injections do not need to return for follow-up visits unless the patient experiences side effects that are particularly bothersome. I would like to have a chemical peel but I have already had dermal filler injections. Is this possible? Yes! Many people love the way dermal fillers smooth out wrinkles and folds so much that they chose to continue enhancing their skin texture with a chemical peel or facial. It is completely safe to have one of these procedures performed following injections of dermal fillers. Are results really that immediate? Yes! Since dermal fillers contain naturally volumizing components, they start working their magic as soon as they enter your skin’s dermis. Although you may not see readily noticeable improvements with deep folds such as nasolabial folds and furrowing between the brows, you will see wrinkles and fine lines disappear as the dermal filler quickly provides the nourishing hydration and collagen replenishment your skin needs to look youthful, pure and radiant. 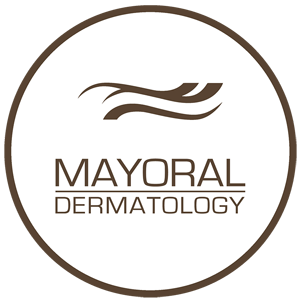 Mayoral Dermatology provides several safe and effective dermal fillers to accommodate all our patient’s skin needs. Call us today to make a consultation appointment and find out what you and your skin have been missing with skin rejuvenating dermal filler injections.